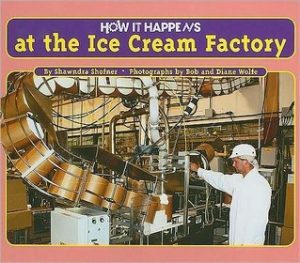 Learn about the invention of ice cream and how it’s made. 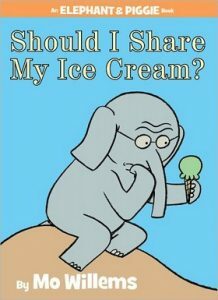 Then, step inside a few ‘ice cream’ featured stories. 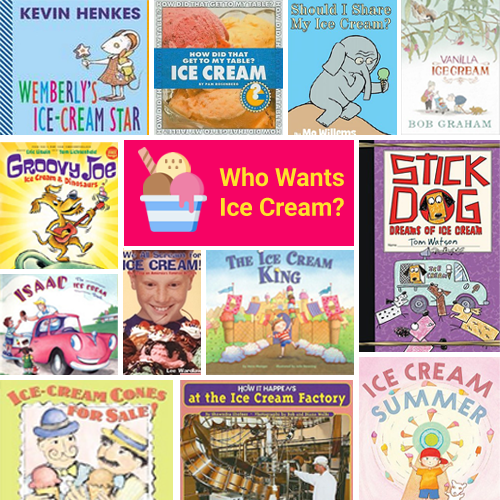 Plenty to read to cool you off on a hot summer day. 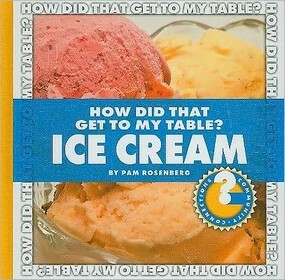 Follows the process of ice cream, from making ice cream at the factory to being in the store and then at your home. Includes glossary and find out more section. 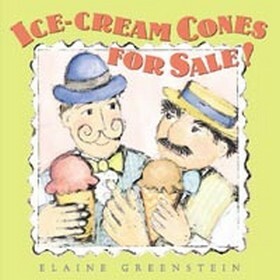 Reveals who really invented the ice cream cone, even before the 1904 St. Louis World’s Fair where five people claim they did so. 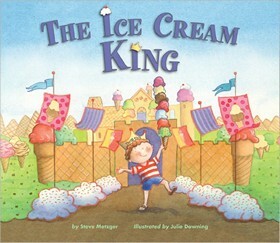 Text and photographs describe the ingredients, machinery, and processes used to make different kinds of ice cream. 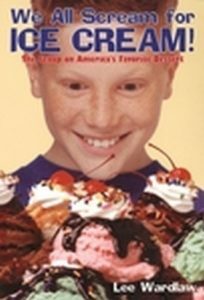 This anecdotal history of ice cream traces the treat from ancient Greece to modern day America. 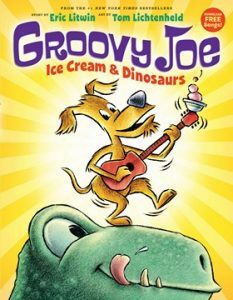 Groovy Joe is a fun-loving dog with a tub full of ice cream–which he shares with his unexpected dinosaur guests. 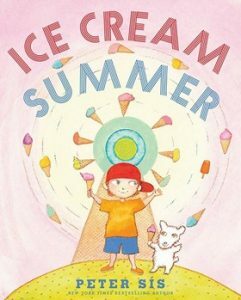 A little boy writes a letter to his grandfather about all the reading and studying he is doing this summer–but all his activities revolve around ice cream. 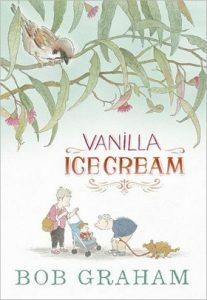 Stowing away in the back of a truck that carries interesting-looking food, a curious young sparrow takes a voyage through the rice paddies of India, across the sea, and into a new city, where he transforms the life of a girl at a cafe. 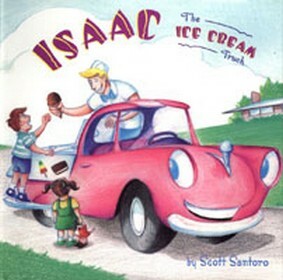 Isaac the Ice Cream Truck doesn’t feel as important as the other trucks until the day he is able to offer refreshing ice cream to some hot and tired firemen who have put out a building fire. 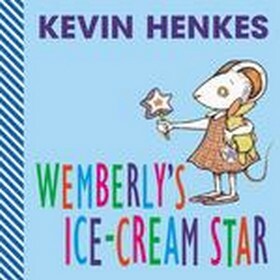 Wemberly is worried that her ice-cream star will drip on her dress. 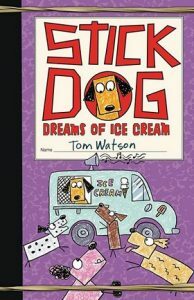 Stick Dog and his feral friends are looking for relief on a very hot day–and this time they have their eyes on an ice cream truck.